Woot! Maerose here. 😉 This post is long overdue. I just can’t help but share the wonderful trip I had with my sisters and some relatives to the smallest country in the world by both area and population — The Vatican! 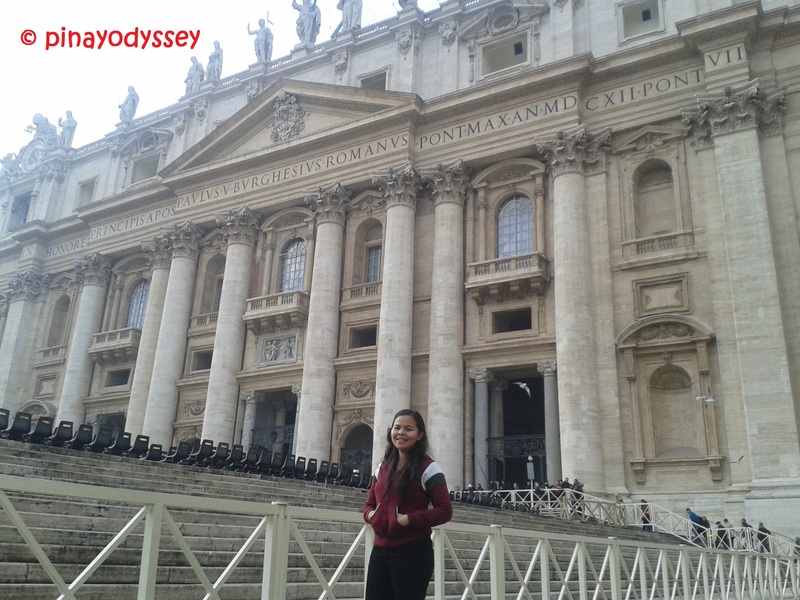 As a raised Roman Catholic, it was one of my dreams to actually set foot on the grounds of St. Peter’s Square. 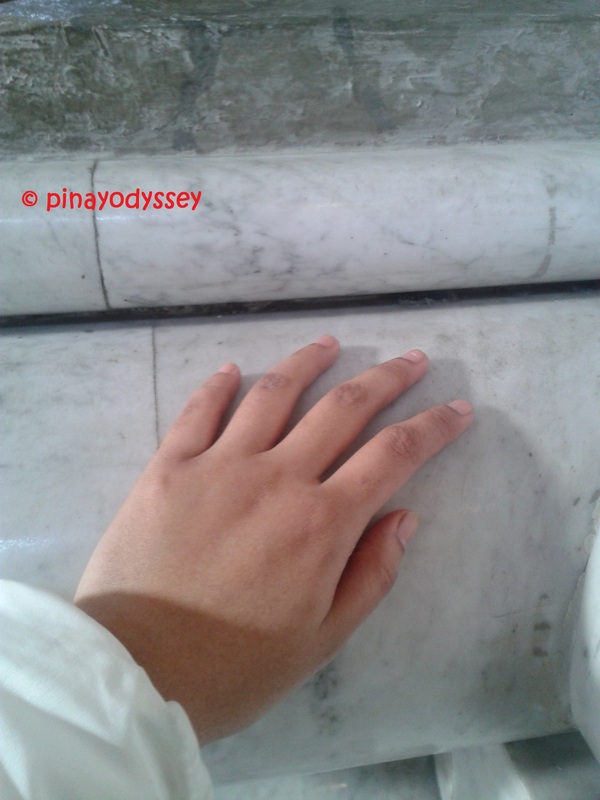 The Vatican City in Rome is like the Hajj (Islamic pilgrimage to Mecca) to the Muslims. 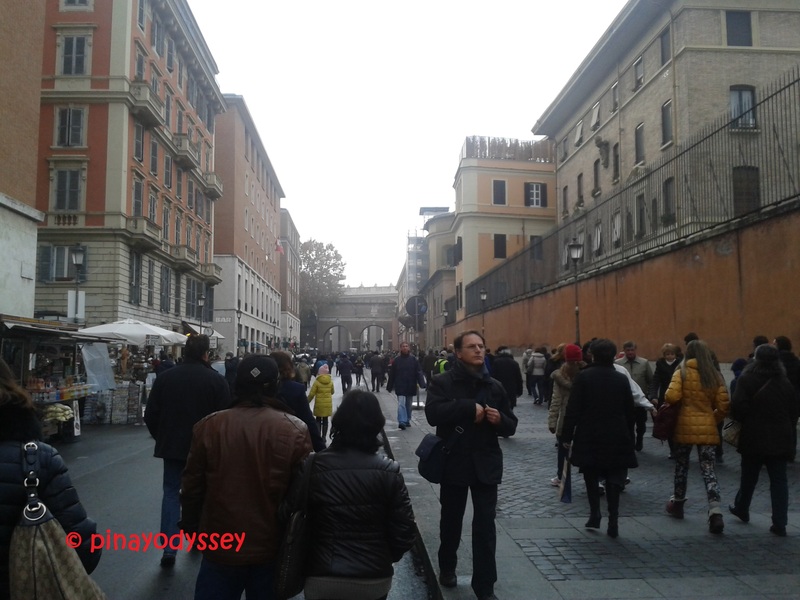 Many Christians travel to Rome to get a glimpse of the Pope, attend a special Holy Mass, to soul-search, or simply to visit the Basilica, the Sistine Chapel and/or the Vatican Museums. The Vatican City was established on February 11, 1929 and has its own political and economic system, with the Pope being the Head of State. Well-known to all Catholics, the Pope is elected via a papal conclave. After the election, the papers used in the process are burned. Black smoke indicates that no new Pope is elected, white smoke indicates otherwise. At present, Pope Francis holds the title as the Head of the Church. Born in Argentina, the Pope is the 266th Pope of the Holy Roman Catholic Church, and is well-loved by the people because of his humility and compassion. To be honest, we didn’t know he was celebrating his birthday when we went to the Vatican in December. Surprise-surprise! 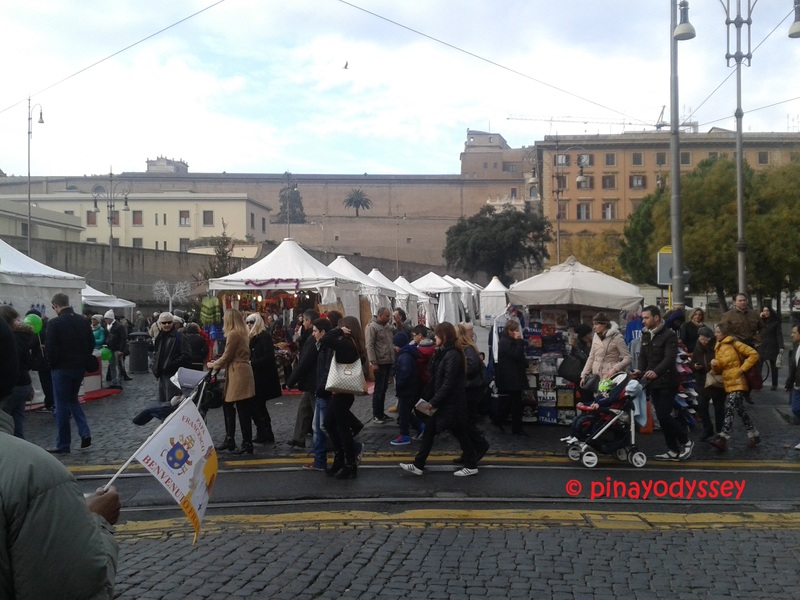 But even if it wasn’t his birthday, my relatives said that the Vatican is always teeming with tourists and pilgrims. According to sources, the Vatican Museum alone received about 4.3 million visitors in 2007. 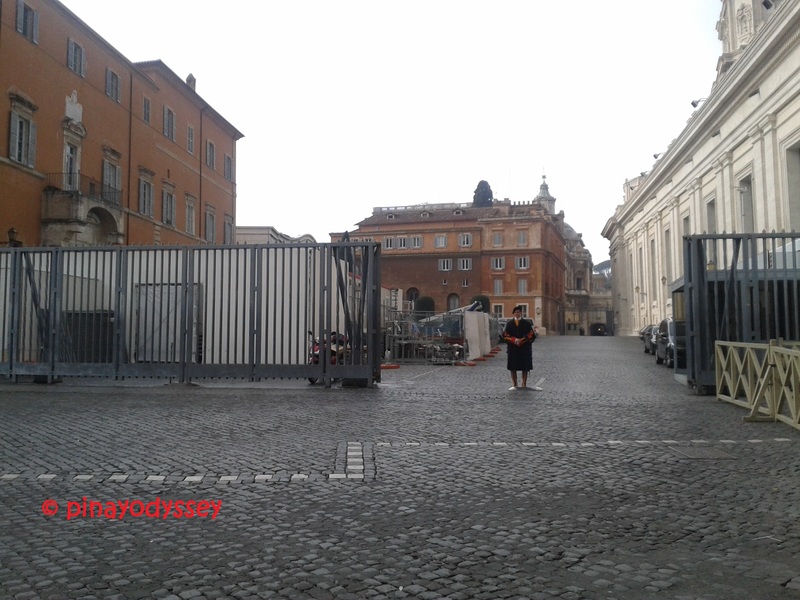 Because of the thousands of crowds visiting the place, security is really tight in the Vatican. Visitors are advised not to bring deadly weapons like pens, umbrellas, knives, etc. You will also have to line up for security scans. While waiting in line, I decided to feast on the general structure of the square. In the middle of the piazza is a recognizable obelisk, which I learned to be known as “the Witness”. Why? The 130 ft structure from Egypt is believed to have witnessed the crucifixion of St. Peter, the original head of the Church as appointed by Jesus himself! 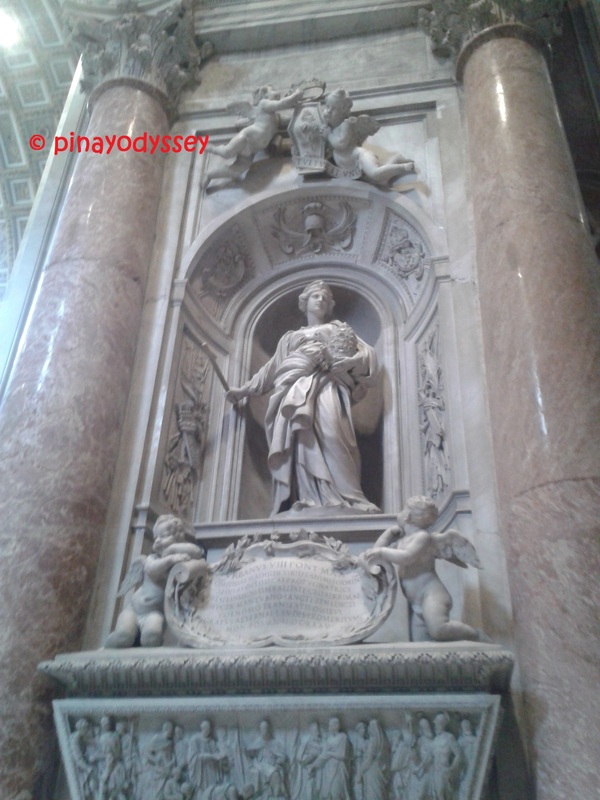 There’s also a large fountain designed by Maderno in 1613 placed near the obelisk. Sadly, I couldn’t leave my spot on the queue to take a closer look at the fountain. Besides, a significant part of the complex was being renovated at that time. 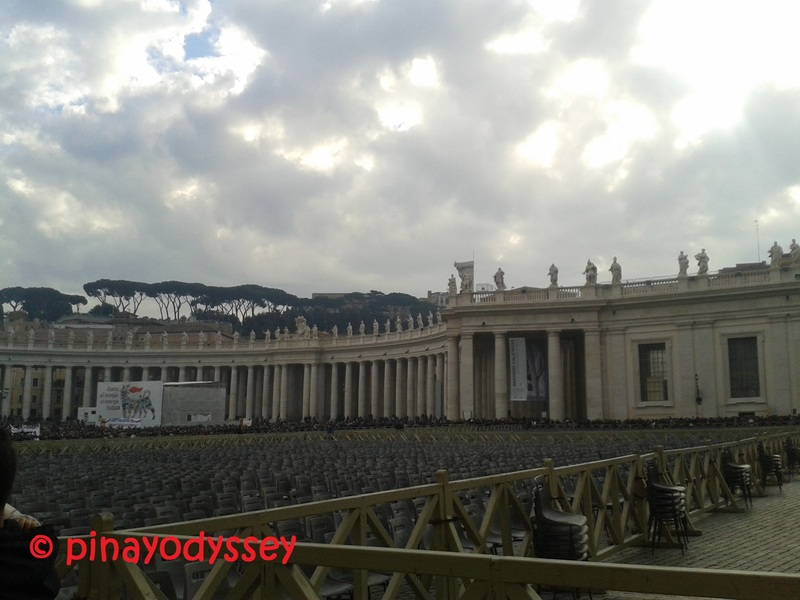 And because it was the Pope’s birthday, a huge area just in front of the basilica was filled with chairs for the Holy Mass. The Basilica was designed by famous architects, engineers and artists, mainly Donato Bramante, Michelangelo, Carlo Maderno and Gian Lorenzo Bernini. If you want to read more about “the most renowned work of Renaissance architecture and one of the largest churches in the world”, click this: https://en.wikipedia.org/wiki/St._Peter%27s_Basilica. The main facade is something to admire, with all the colonnade and statues of saints and angels. But wait until you get inside. It is more than just the faith — it is also about the dedication of the people behind the beautiful structure. 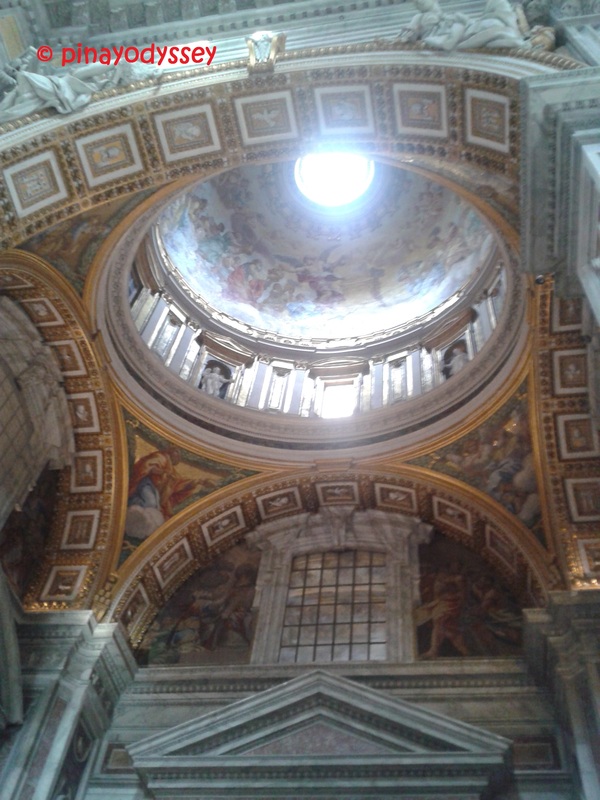 Took this photo to remind myself that I’ve been inside the basilica, that nothing is entirely impossible! 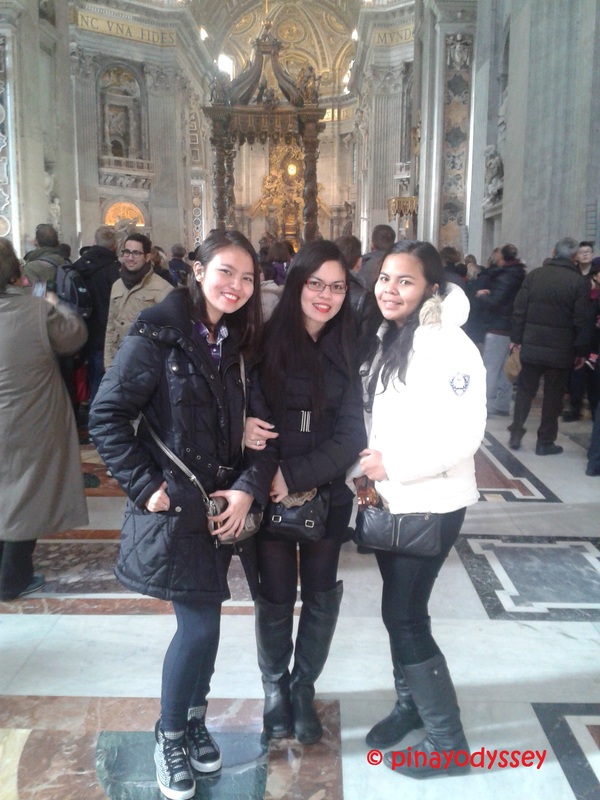 It was a very short tour inside the Basilica of St. Peter. 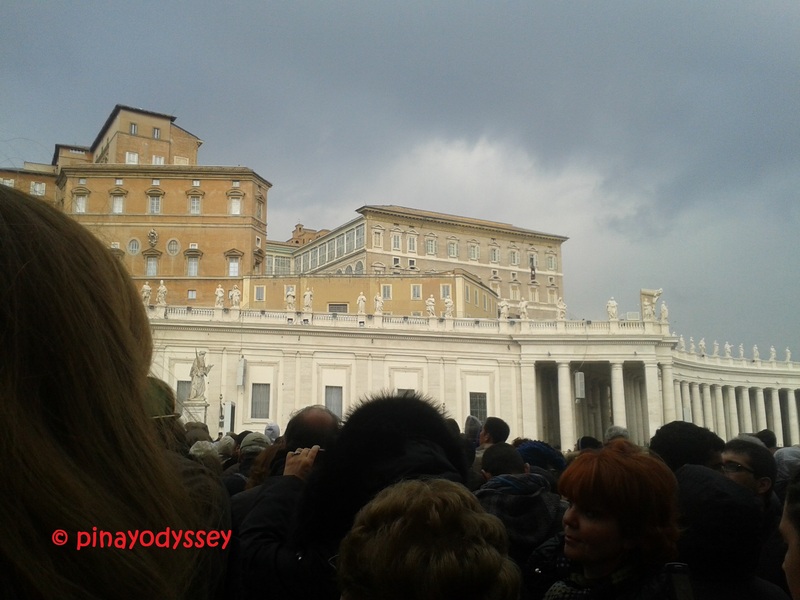 We went out along with a huge crowd, and little did we expect that Pope Francis would show himself up and speak to us! But before that, a wonderful music of children singing him a Happy Birthday (in Italian or Latin, I suppose?) filled the air and brought cheers to everyone. 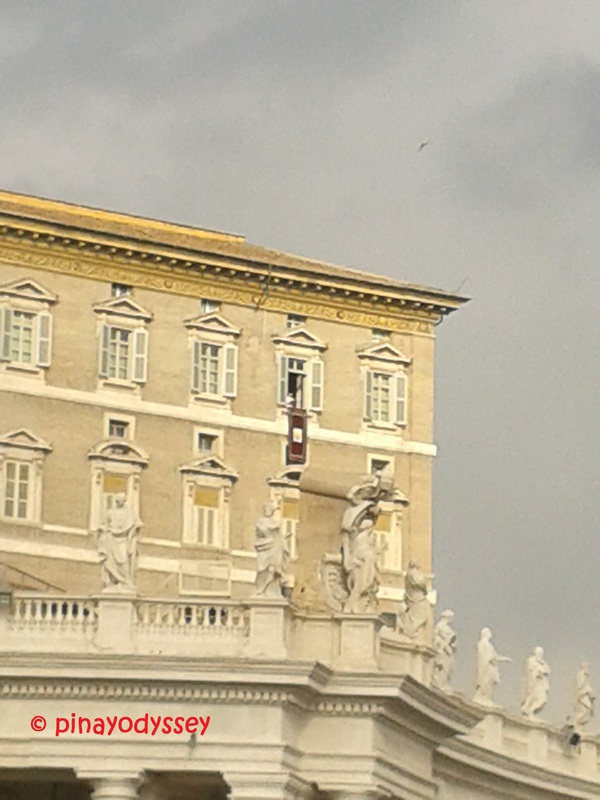 Pope Francis behind the maroon banner at the Apostolic Palace, the official residence of the Pope. There he is! 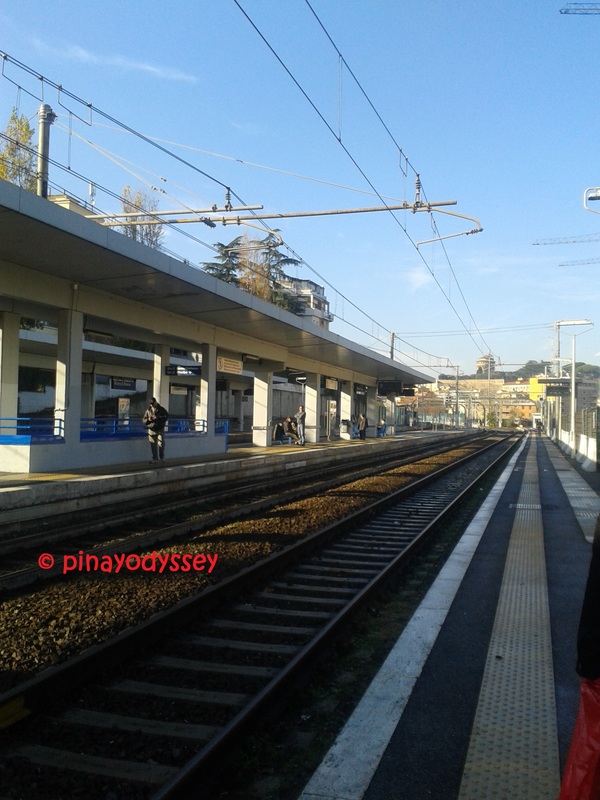 I love to wander too, in the same place! Oh, I so envied people who get the chance to visit places alike. 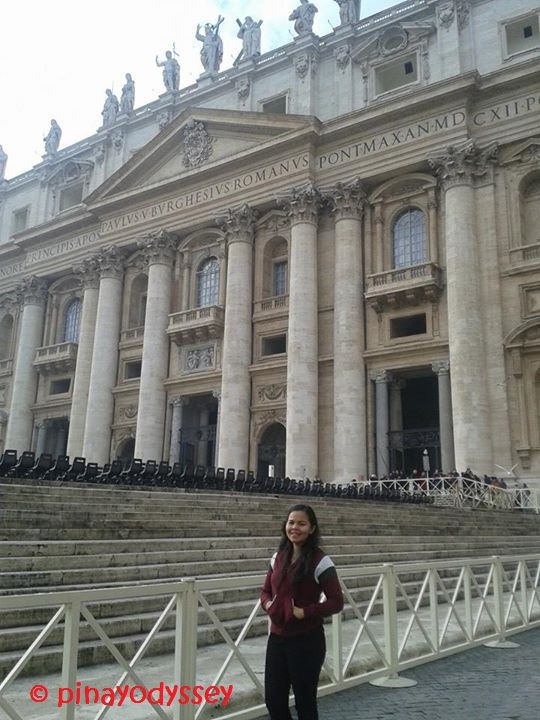 How I wish I can set foot on to Vatican someday. Great content, I have learnt a lot! Your post reminds me of the time I accidentally ended up in the first row for the Christmas Mass, at the Vatican, and I got filmed and then aired back in my country, on the 7PM news. My battery was dead and when I arrived back to the hostel my phone was bursting with messages from people that have seen me. 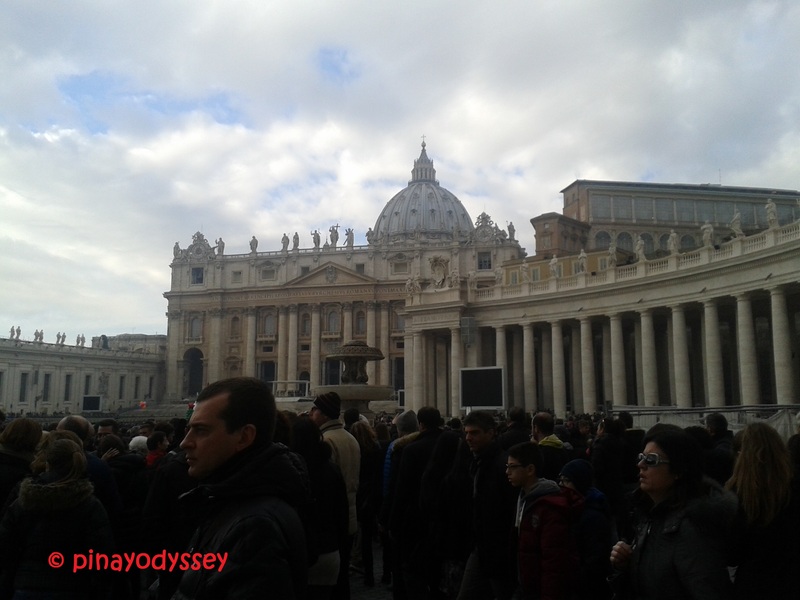 So nice to see that you have an awesome experience visiting the Vatican. Pope Francis is like the bridge from the old to the new world. His opinions, some of them are surprisingly radical and in the old times, would have been impossible. 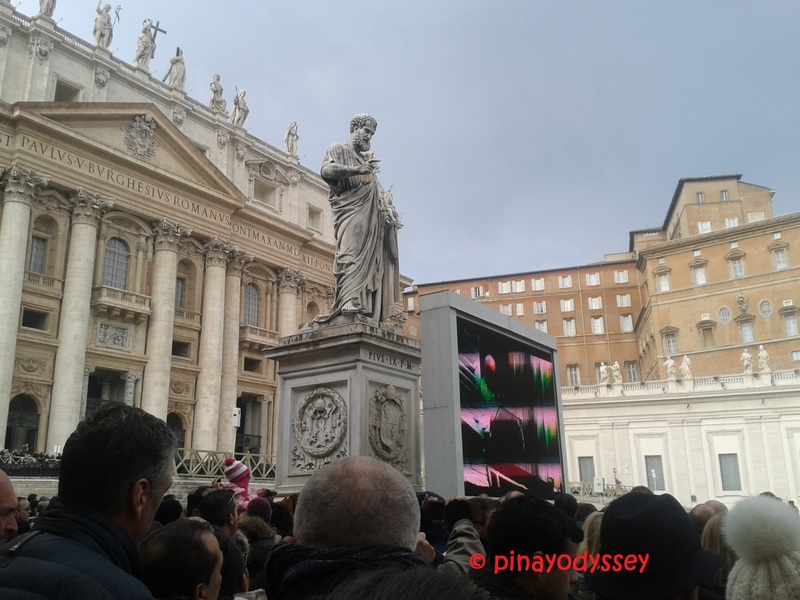 Were you able to attend a mass held by the pope? Hi Sir Robert! Unfortunately, we only caught the speech by the Pope. The Mass was to be held at a later time, and we had to rush back to the city center to get ready for our flight.